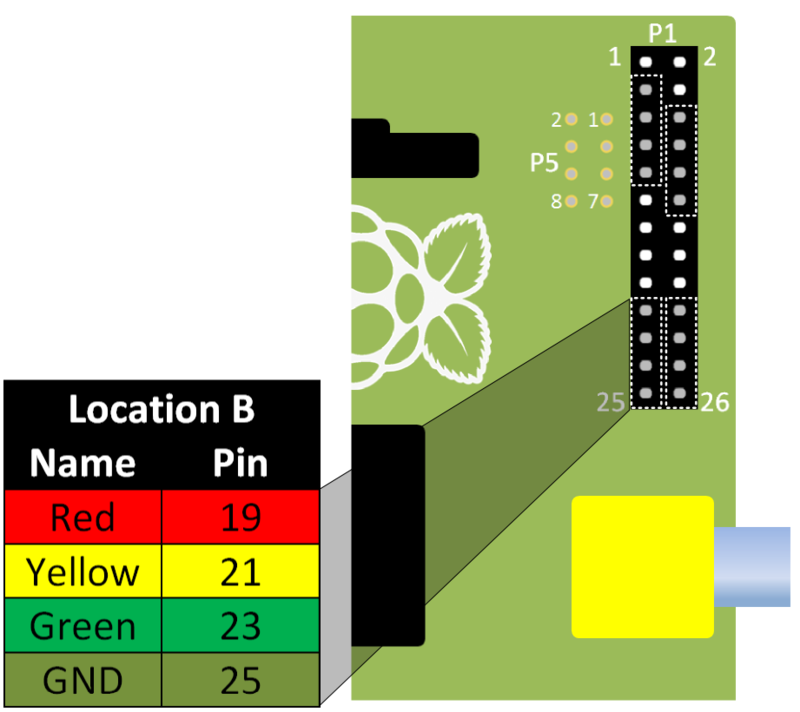 Setup: Scratch GPIO: For instructions on how to setup Scratch GPIO with Pi-Stop (which is needed for this section). 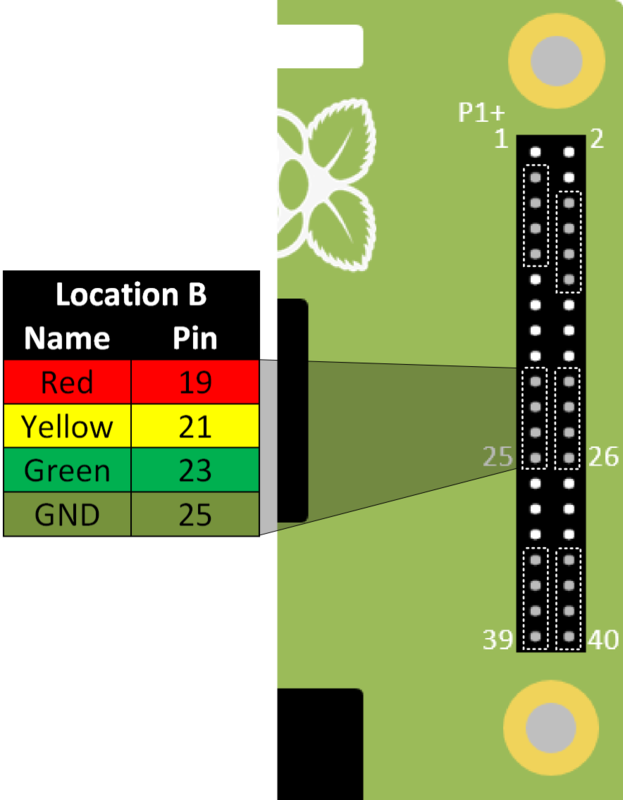 In this guide we make use of Scratch GPIO produce a standard traffic light sequence with the Pi-Stop. 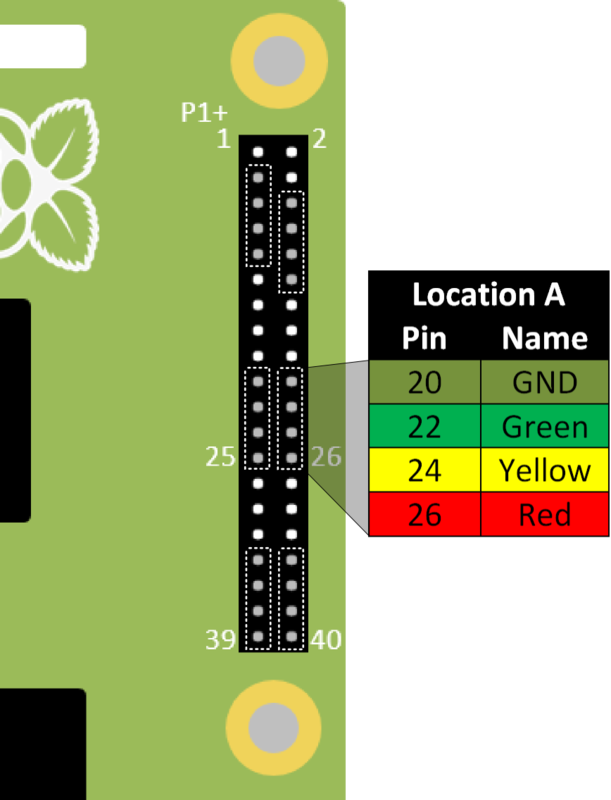 With the Pi-Stop fitted in the correct position you can now power up your Raspberry Pi. 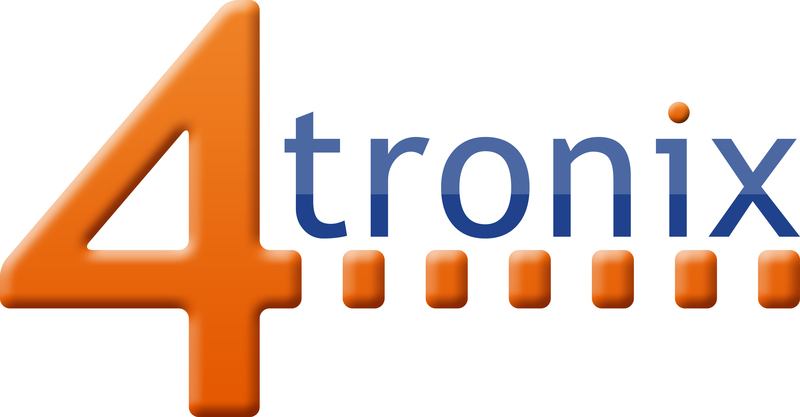 Explore and Challenge Scratch GPIO: Pi-Stop First Steps which introduced them for the first time. Before we go any further we should take some time to work out what the correct sequence of lights a traffic light should show. This way we can design our program and then test to see if it behaves as we wanted. QUESTION: When a traffic light is GREEN (GO) and starts to change, what lights will be lit as it changes to STOP the traffic? WORKSHEET: On your worksheet colour in the correct traffic light sequence, starting with GREEN (as shown above) and ending with the light showing STOP. QUESTION: When a traffic light is RED (STOP) and changes to GO, what is the normal sequence of lights? Again, fill in the required broadcast commands. WORKSHEET: On your worksheet colour in the correct traffic light sequence, starting with RED and ending with the light showing GO. WORKSHEET: Again, complete the required broadcast blocks to switch each of the lights on or off. You can now create each of the broadcast blocks in Scratch and click on them to test each step. We will now create a new broadcast group of blocks to recreate the required LED sequence. Excellent! Now you can test these blocks by clicking on them directly and see if we have our correct traffic light sequences! At the moment our program will not do anything unless we click on it. 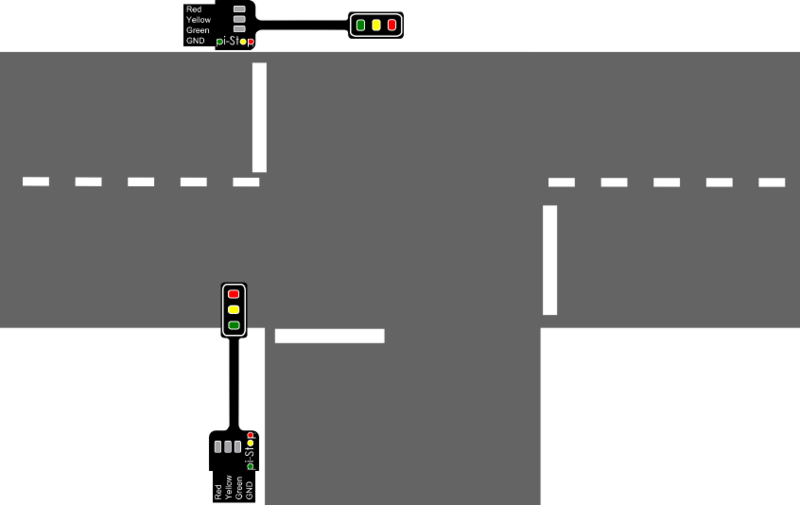 We will also add a when green flag clicked block to kick off our sequence (allowing you to use the small flag in the top right to start, and the red circle to stop. For our traffic lights we want them to start by changing to GO (by broadcasting “GO”) then wait for some time (for example 10 seconds) and then change to STOP (by broadcasting “STOP”). When you run the program (by clicking on the Green Flag) you will see each part is highlighted with a white outline while it runs through the forever loop and runs each of the broadcast group blocks GO and STOP. Now you have your very own traffic light you can use in your own projects! IDEA: Fed up with unfair starts when starting a race? Why not start your races with your own starting lights! Use the Pi-Stop to start your Scalextric (TM) or Hot Wheels (TM) races, ensuring everyone gets a fair chance. QUESTION: Can you create a Formula 1 style starting lights (where each light lights up and they all go off, the race starts when the lights are off). QUESTION: Can you change the program to make the light change with a random wait time (making it harder to go before they change)? 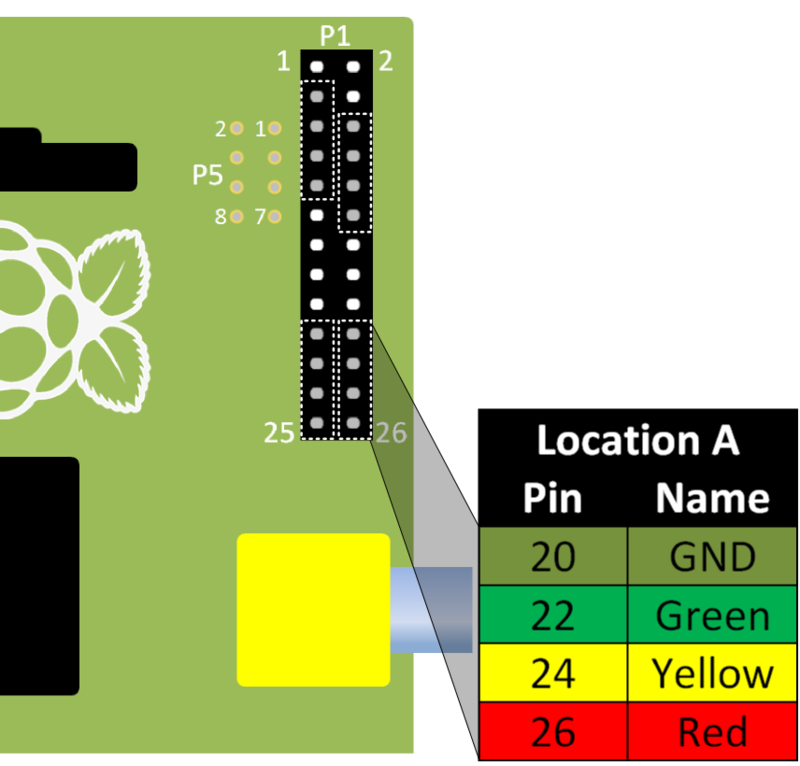 Hint: See the next guide (Explore and Challenge Scratch GPIO: Pi-Stop Reaction Game which makes use of random delays. 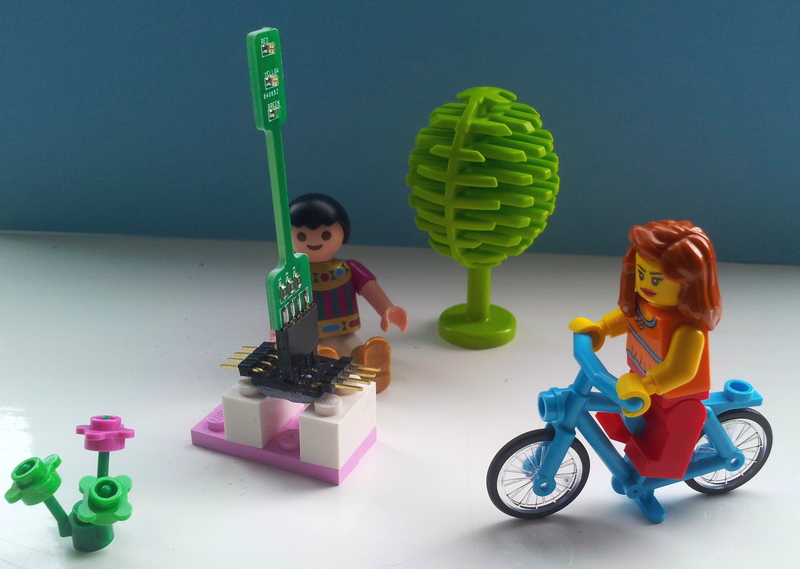 IDEA: Perhaps your LEGO City (TM) needs some traffic control. QUESTION: Can you extend the traffic light sequence to use a second Pi-Stop fitted in Location B so you can control traffic at a junction? If you want to try this, please ask for an extra Pi-Stop to use in your project. Hint: You will need to create new broadcast blocks using the 2nd set of pins. Also, think about giving drivers time to react before the other set of lights turns GREEN!